What Do You Already Have? Give it to God and Let Him Multiply It! As I joined a group of older Liberian orphans or those who had been abandoned, at camp two weeks ago, I was asked to share a devotion with them. The feeding of the 5,000 men (and of course there had to be women and children in this group, as well) is recorded in each of the gospels (Matthew 14:13-21; Mark 6:30-44; Luke9:10-17; John 6:1-14). It is clear Jesus already had a plan for feeding this throng of people following Him, but He wanted His disciples to learn a new perspective when faced with great need and especially when the monetary resources were not enough to satisfy it. That became the topic for my devotion to those 60+ seated in front of me, that morning, who have next to nothing compared to the material things I possess. I helped them begin to list the things they already had; 1) they were breathing and they were alive 2) currently they were eating three meals each day 3) they were learning a trade 4) while they may not have parents to love and care for them, they had those who did love them and those who could identify with them 5) they were strong and healthy 6) they could see 7) they were receiving an education 8) they had at least the clothes on their backs 8) they had a place to lay their heads at night (more than their Savior had) 9) their God loves them and knows them each by name. And the list could have gone on and on. Now, Jesus could easily have conjured up some other miraculous way of feeding this crowd. He could have asked His Father to cause low-flying quail to migrate to this group or have manna drop from heaven, as He had done in the Old Testament. Or He could have turned the stones lying all around where these 5,000+ people were now standing into bread and hit one of them with a staff to produce enough water for each to drink their fill. Obviously, this is not what Jesus had in mind for this particular occasion. I thought I remembered writing about His posing this question to me many years ago, “What do you have in your hand?” in another blog post, but I could not quickly find it. He used Jill Briscoe’s presentation at an Asheville Women’s Prayer Breakfast, when I was in my late 20’s, to begin building a strong foundation for this perspective. I believe this is one of the ways He has been equipping me for ‘such a time as this’ all my life and He continues to broaden my understanding and deepen my accountability for this truth. him. Of course, there was no one place nearby that could support the feeding of that many without multiple days spent in prior preparations. Phillip’s reply, “It would take more than half a year’s wages to buy enough bread for each one to have a bite!” There it is, “We don’t have enough money to do…!” I wonder what did Jesus think about Phillip’s reply? The scriptures do not share His thoughts with us, but…???? Is there anything that is too hard for our God to do, even if there aren’t enough funds to do it??? So, what should our perspective or approach be to a situation that seems insurmountable because there aren’t enough funds to meet the need? Next we see where another disciple, Andrew, who had apparently been searching for what they did have comes forward with 5 small barley loaves and two fish. While Andrew is doubtful this will be enough, at least he brings what he has, or rather what someone else had, to Jesus. We are not told if the owner of this food was a willing donor or not, but we know Andrew had at least begun to look for what others might have available. Jesus, without hesitation, tells the disciples to have the people sit down. He does not look down on what Andrew has brought him, nor does He indignantly proclaim, “Is that all you could find?” He simply takes what Andrew gives Him. It is important to note, in all the accounts, the next thing Jesus does is gives thanks to God for what He was given. Jesus was fully aware that everything we have is from God. Many times you and I overlook one of the most important examples Jesus gave us while He was here on the earth…thankfulness! And more specifically, thankfulness for what He has already given us! That is not just salvation, but that is everything we have! Ann Voskamp’s challenge to annually list “1,000 Gifts” has created a huge following by simply asking others to join her daily in the practice of writing down the ways God is blessing, giving us…gifts. Have you ever taken just 10 minutes and devoted that time to reflecting on the infinite ways God has blessed your life and the lives of those you love? For me, as soon as I stop for a moment to think about ALL that I have received, at the hands of my God, my mind becomes flooded with the vastness of blessings He lavishes on me every single day. If we took the time, I believe you and I could write for days and not run dry of all the things God has so graciously given to us. And the majority are things we have never thought to ask Him for. By the way, yours and my list should include those things we would label “good and bad”, since God tells us to “Consider it pure joy, brothers and sisters, when you fall into trials of many kinds, because you know the testing of your faith produces perseverance” (James 1:2-8). Back to the devotion on that Monday morning two weeks ago. As I shared this story of thankfulness with my young audience I told them, “American’s are not who you should ask for help, but instead you should be thankful for what you already have and ask God to help you. He is the only One who can provide for your every need and He has already promised to do so. Your job or responsibility is to simply be thankful for what He has given you, give it all back to Him, and to be obedient to obey all He commands.” I did spend a short time discussing the difference between a need and a want, to help them make that distinction. For example, they do not need their cell phones (I think every Liberian has one) but they do need to eat regularly. There were some additional thoughts I briefly shared that morning, as well. One was the fact that Jesus Himself (from the John account) broke the bread and fish and distributed it among the people as they sat down on the grass. 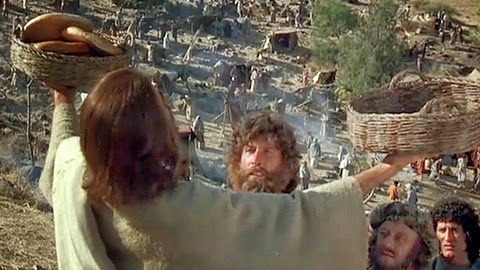 From the scriptures, it seems Jesus distributed the bread first and then the fish. Can you imagine how long it must have taken for Jesus to distribute bread and fish to each of them? Obviously, doing some things in the most timely manner is not always God’s perfect timing. That brings the question; are you and I eager to accomplish a task, but forget about the relationships God wants to forge in the midst of that task? I wonder did those farthest from Him think there would not be enough food to go around? Wonder…what DID they think? They had not come expecting to eat, but they had come for many other reasons. Did they ever dream Jesus would literally serve them, personally? That He was willing to come near to them right where they were? To look at each of them face-to-face? He does the very same with each of us! Lastly, the miracle was completed when all ate to their fill, not just enough food, more than enough and with leftovers. Jesus taught we should never waste and so He commanded the disciples to gather the leftovers…12 baskets full. We don’t know how large the baskets were, but it is interesting to note there were 12 baskets. I believe this was an additional perspective Jesus wanted the 12 disciples to learn. God not only could provide, and provide abundantly, for all those with needs and through what they already had, but now He was providing abundantly for each disciple personally to have what was needed for their next meal. We rarely think about how God daily provided food for Jesus and His 12 disciples or where they slept at night. In this story, Jesus is providing for the here and now and we can trust He will continue providing beyond, for tomorrow. I believe Jesus was creating a faith-building atmosphere for His disciples as they did life together day and night and one we can learn a thing or two from. Christ, Career, Character, Capacity, Competence! 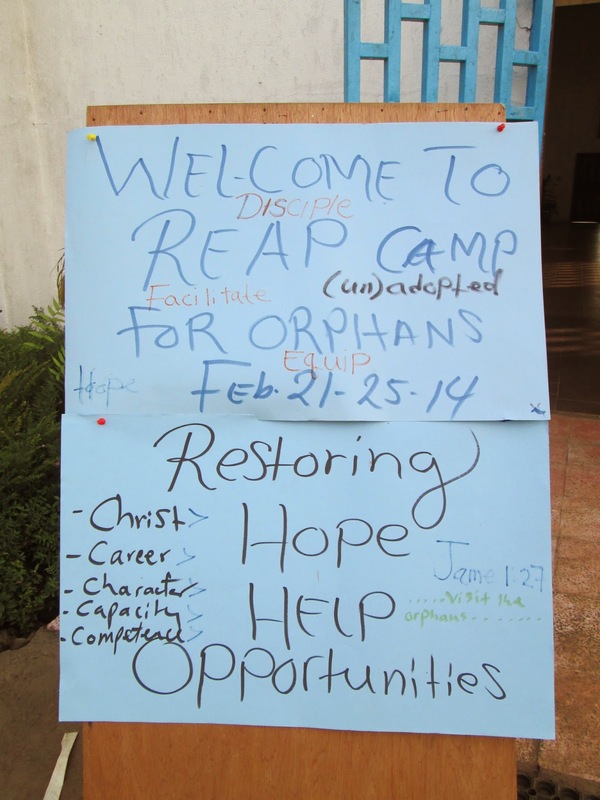 « JOIN SIGNS FOR HOPE IN LIBERIA!